Upon arriving in Turkey for his first official two-day visit to the country on the invitation of Turkish President Recep Tayyip Erdogan, Prime Minister Imran Khan said that the enhancement of the scope of bilateral trade between Pakistan and Turkey to a higher level is the need of the hour. 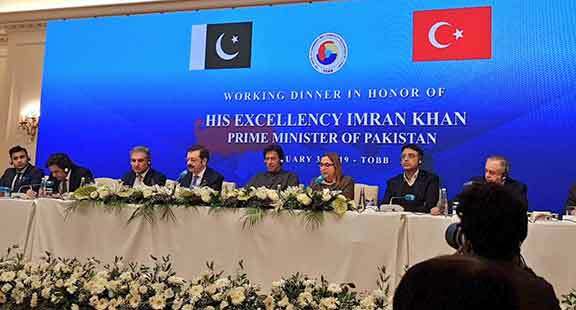 Addressing a business forum of the Union of Chambers and Commodity Exchanges of Turkey (TOBB) in Ankara on Thursday night, he said his government will provide all possible assistance to the Turkish investors in Pakistan. PM Khan spoke about the numerous opportunities for investment in Pakistan and the steps being taken to provide a business-friendly environment to foreign investors. He claimed the China-Pakistan Economic Corridor (CPEC) would contribute to tremendous trade and economic activities, through which mega project special economic zones are being established. 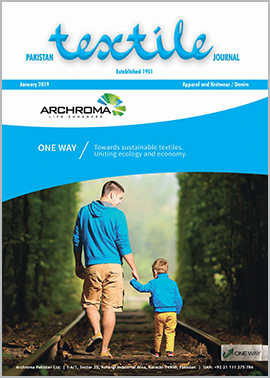 He elaborated, that Pakistan has 120 million youngsters in its population, who can play a vital role in the economy. The prime minister said 50 million affordable houses will be constructed within the next five years. Like the FPCCI of Pakistan, TOBB is the most superior entity in Turkey representing the private sector, with 365 member associations from local chambers of commerce and industry.